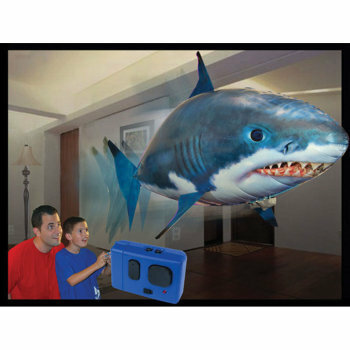 Shark Tooth Stew, New Products: Educational Innovations, Inc.
A wonderful introduction to marine fossils! A wonderful introduction to marine fossils! Each kit contains more than 200 fossils: shark teeth, sea urchins, manta rays, clams, ammonites (ancestors of snails), crinoids, and more! Free sorting chart online. Packaged in a neat blister pack. 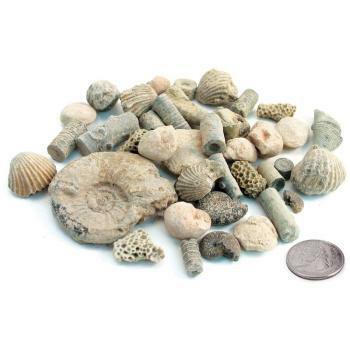 The perfect gift for a fossil enthusiast! Students can use the assorted fossils in the Shark Teeth to identify evidence, to identify patterns in rock formations and fossils in rock layers to support an explanation for changes in the landscape over time. DCI-4/ESS1.C: The History of Planet Earth. 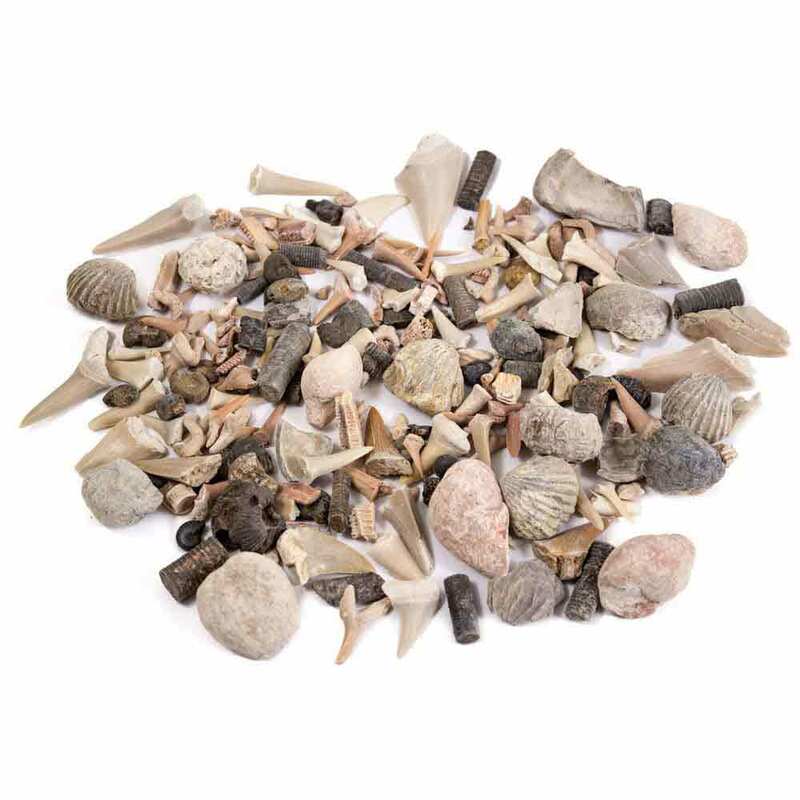 Students can use the assorted fossils in the Shark Teeth as evidence to construct a scientific explanation based on the fossil record from rock strata for how geologic time scale is used to organize Earth's 4.6-billion-year-old history. 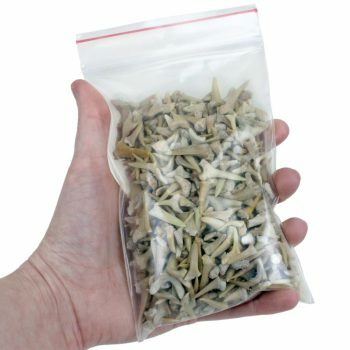 Students can use the assorted fossils in the Shark Teeth to analyze and interpret data for patterns in the fossil record that document the existence, diversity, extinction, and change of life forms throughout the history of life on Earth under the assumption that natural laws operate today as in the past. Students can use the assorted fossils in the Shark Teeth to apply scientific ideas to construct an explanation for the anatomical similarities and differences among modern organisms and between modern and fossil organisms to infer evolutionary relationships. DCI-MS/ESS1.C: The History of Planet Earth. The geologic time scale interpreted from the rock strata provides a way to organize Earth's history. Analysis of rock strata and fossil record provide only relative dates, not absolute scale. DCI-MS/LS4.A: Evidence of Common Ancestry and Diversity. The collection of fossils and their placement in chronological order is known as the fossil record. It documents the existence, diversity, extinction, and change of many life forms throughout the history of life on Earth. By reviewing anatomical similarities and differences between various organisms living today and organisms in the fossil record, we can reconstruct evolutionary history and interference of lines of evolutionary descent. Students can use the anatomical structures of the assorted fossils in the Shark Teeth as evidence to communicate scientific information that common ancestry and biological evolution are supported by multiple line of empirical evidence. 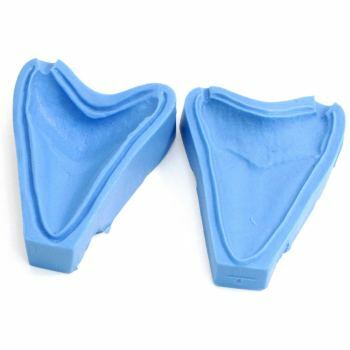 Students can use the Shark Teeth and information about the fossil record to evaluate the evidence supporting claims that changes in environmental conditions may result in the extinction of species. Species become extinct because they can no longer survive and reproduce in their altered environment. If members cannot adjust to change that is too fast or drastic, the opportunity for the species' evolution is lost. Students can use the assorted Shark Teeth to gather information and evidence to support investigations for Geologic History. With close examination and research about the fossils, students can learn about the fossil record, Earth's History, common ancestry, diversity of life and adaptation. With close examination and research about the fossil, students can make inferences about Earth's history, common ancestry, diversity of life and adaptation. Any hands-on activity with fossils will create a strong foundation for Geologic History lessons at all grade levels.